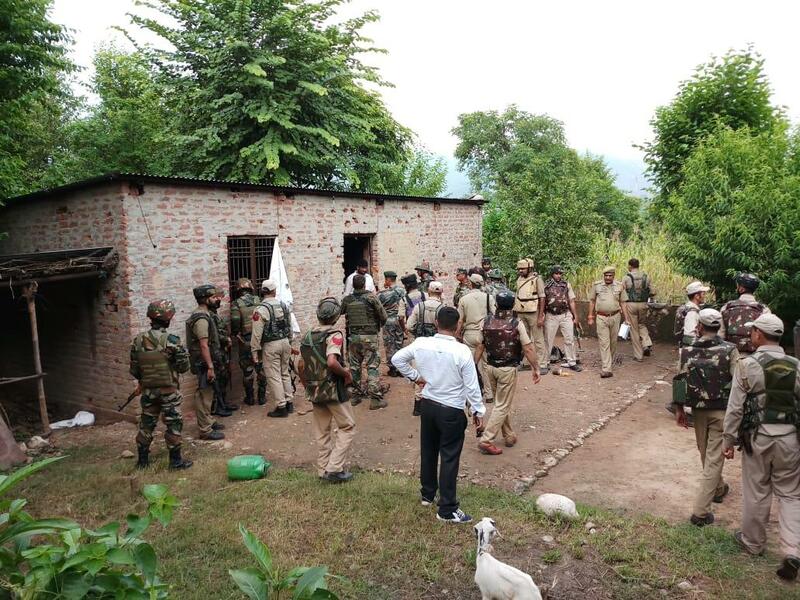 Jammu: Three terrorists of pro-Pakistan Jaish-e-Mohammed (JeM) were killed and 12 security personnel, including three officers, injured Thursday in an encounter in Jammu and Kashmir's Reasi district, a day after they fired on a police party here and escaped, officials said. "On 12.09.2018 at about 0805 hours, during checking by flying squad of police at Domail on highway, police party signalled a truck bearing No. JK03-1476, which was on its way from Jammu to Srinagar to stop. In the meantime, three terrorists who were on board the said truck opened fire (sic)," a police statement issued Thursday said. Earlier, SSP (Jammu) Vivek Gupta said the cordon and search operation to track down the terrorists was launched in the Jhajjar-Kotli forest belt in Jammu and Reasi districts after the militants fired on the security personnel on the Jammu-Srinagar National Highway Wednesday. The terrorists also demanded a vehicle, but "we told them, we do not have one," the villager said, adding that they were asked to switch-off their mobile phones.